A small Kennel situated in Waikato, New Zealand. I grew up with Shepherds and only in the last 6 years has my passion for the Working Line Shepherd really taken hold. I had my first litter in 2013, it was extremely exciting and still is! The Working Line Shepherd comes in mainly sable, black and tan and pure black colors - they have a straight back, not sloping like the Show Line Shepherd, and are mainly used for Police Work, Security, Dog Sports, Search and Rescue and Air Force, but they also make wonderful Obedience and Agility dogs, and of course are great family companions. 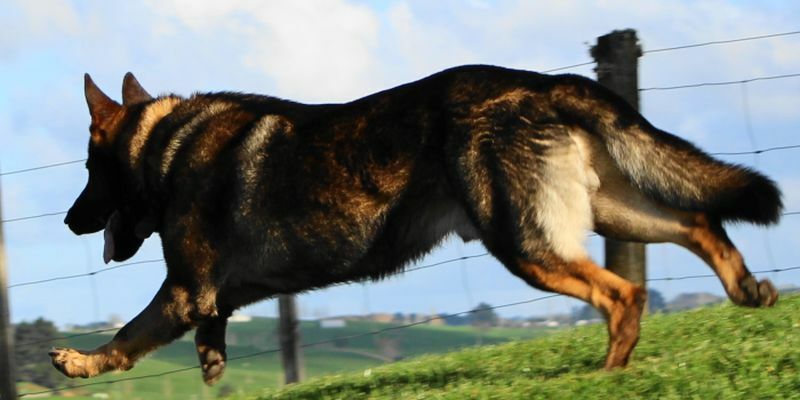 These dogs are high energy and extremely trainable, best suited to an active lifestyle with a 'job to do'. I aim to produce sound dogs both physically and mentally so they may succeed in any activity that one desires. I have been active in DogSport in the past, which has also become another passion of mine, and being able to participate in such a sport, allows me to truly understand the character of my dogs - as this sport involves Tracking, Obedience and Protection, all of which test a dog both mentally and physically, also discovering the dogs drive levels and how biddable they may be. I choose to keep much of my breeding stock with me, as this allows me to train them in the important aspects of dog training such as, their confidence/mental strength levels, their tracking and hunting ability, their trainability, whether they are hard or soft, are they dominant, their drive levels for food/toy and most important of all, I love having dogs around me! My passion for experiencing this breed comes first, always. When I decide to breed two dogs, I can tell my client exactly what their temperaments are like, as well as any other attributes they may have, that will help them decide if one from that particular combination will suit them and their desires. My dogs are mentally and physically stimulated throughout the day, everyday. They all get individual time with me, be it training, playing or leaving the property to visit other places. They also get time to play together. My dogs come first, and I structure my life around them, as they are very important to me. Each dog is an individual and treated accordingly. I have an excellent relationship with all of my dogs, as I build bonds with them through play. As a breeder I consider it my responsibility to ensure my breeding stock are well looked after and kept in optimum condition - and that my puppies will be raised well, given the best start in life possible and thoroughly prepared for their adventures into their new homes. All dogs are PennHIP and Elbow scored, their Lumbosacral ( back ) - Transitional Vertebrae - is also x-rayed, when old enough. All dogs are DM ( Degenerative Myelopathy ) tested. All of my puppies will be observed and tested appropriately, to ensure they are matched as well as possible to their potential new homes - and I will be there to support and give advice/training advice, for the lifetime of the puppy.